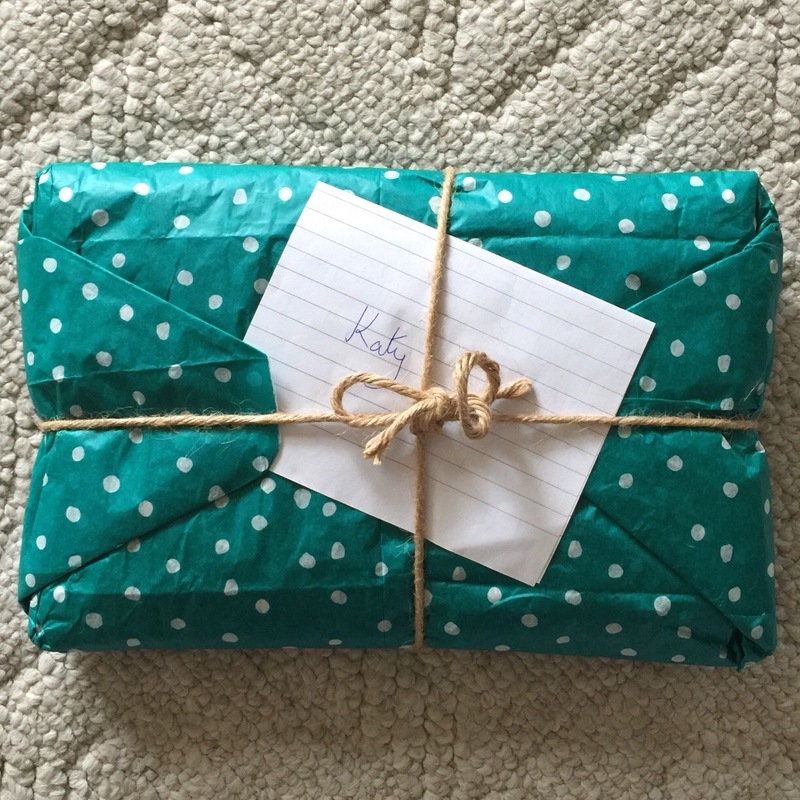 I received the most wonderful package in the mail this week from Susan from the UK! Inside I found two lovely fat quarters to add to the collection and the yummiest chocolate ever! Isn’t this gorgeous! Hand quilting no less! I just love this and plan to hang it in my hall way where I can see it often as I walk by. Thank you again, Susan and also to Lori from Humble Quilts for organizing this swap. Sweet little quilt! 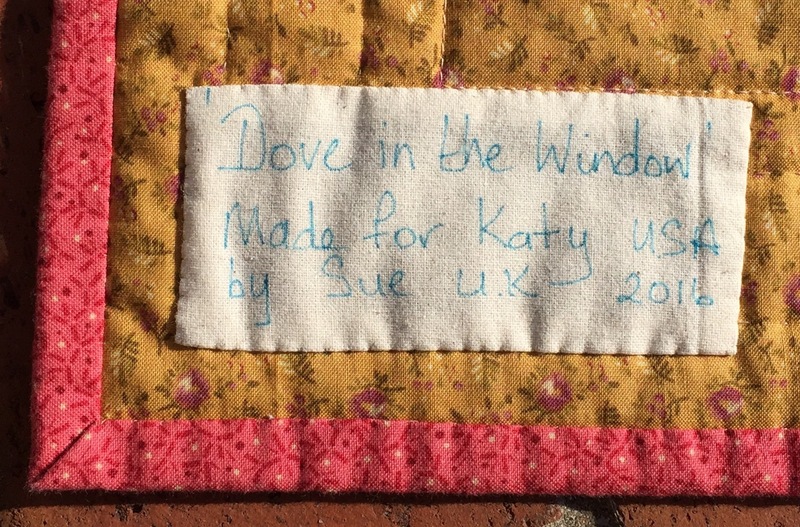 Dove in the Window is such a sweet name. Beautiful little quilt! What a treasure. It’s perfectly delightful… beautiful fabrics too!! 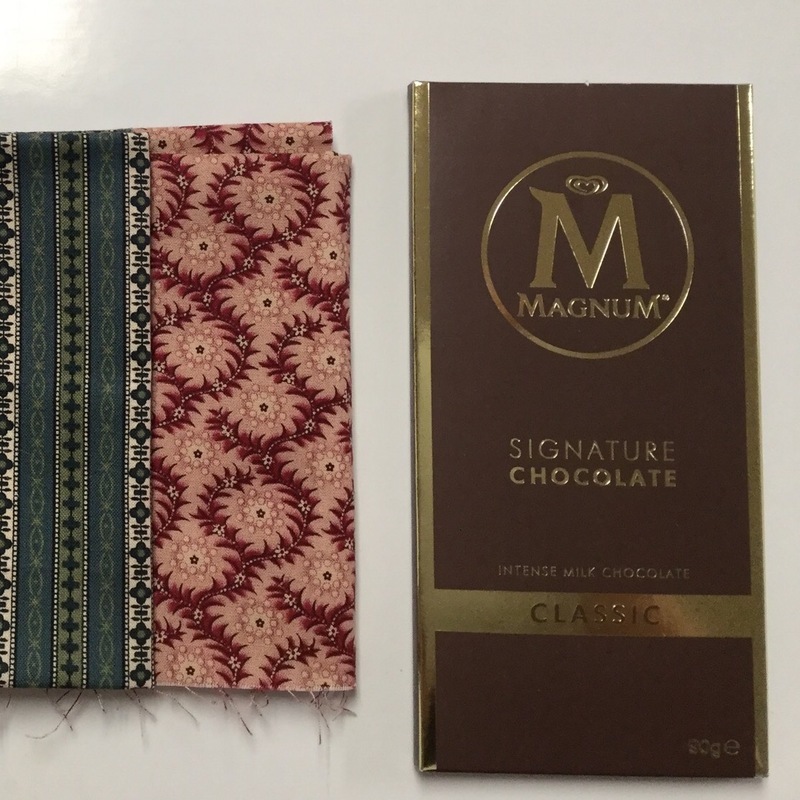 Beautiful doll quilt and chocolate-you lucky girl! What a gorgeous little quilt! I love it. That’s a very cute present ! I can’t wait to see the others ! That is an adorably lovely little quilt! This had to make you feel loved! What a LOVELY little quilt!! I just love the colors in this beauty. It’s so much fun to receive something made with loving care. 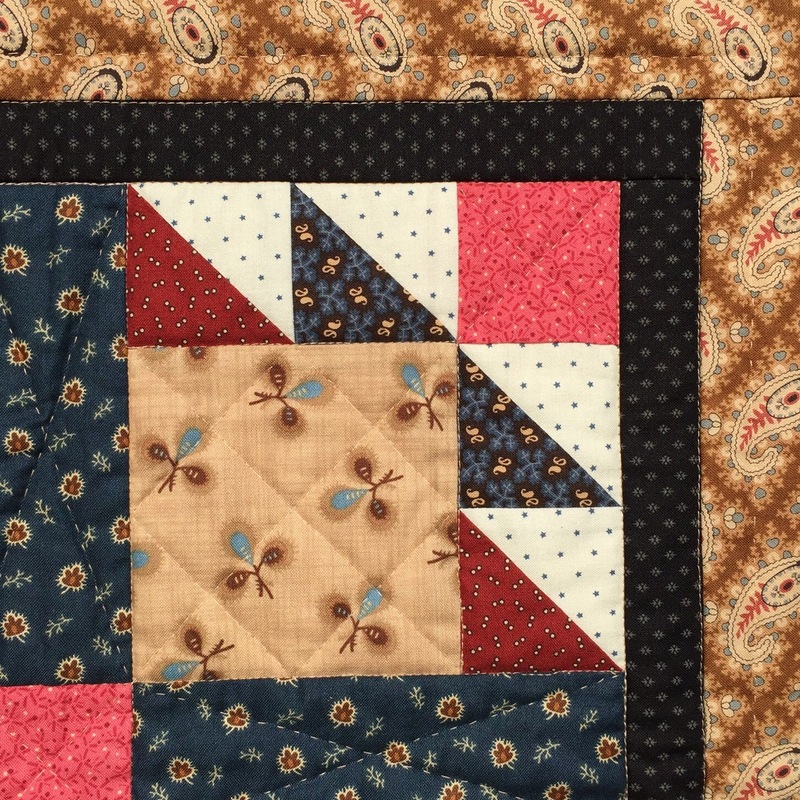 Love the little quilt…..like another commenter, I too love the border fabric, as well as the other fabrics in the quilt. And you have a couple more fat quarters for your stash…..and chocolate, too! Now that is what I call “happy mail” for sure!! 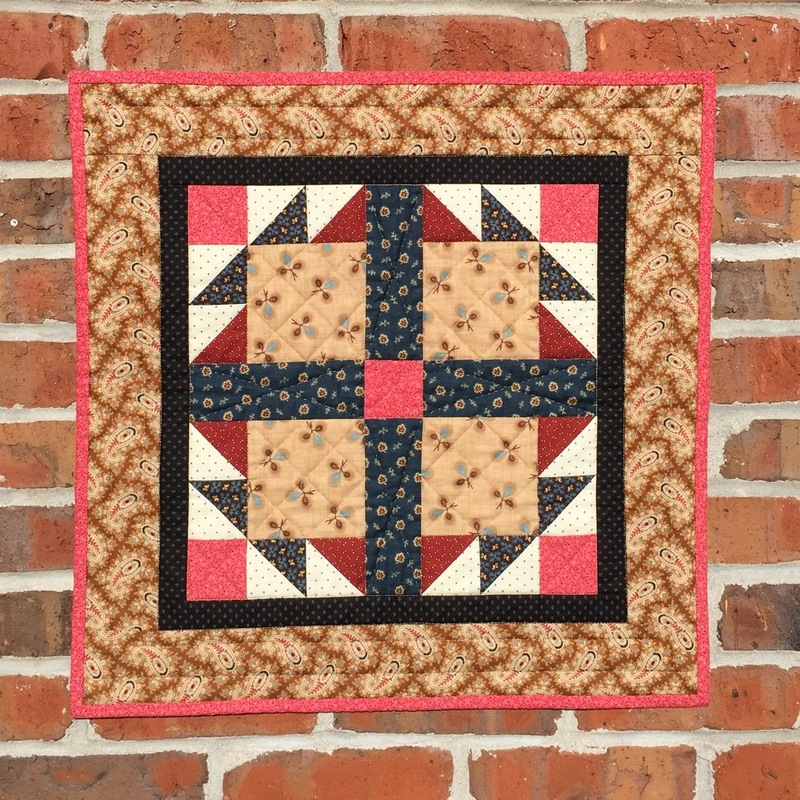 Great little quilt, really like the border fabric! Lucky you! What a sweet one. I’m sure you will be sharing the chocolate (wink). That is lovely! All of the quilts I have seen so far from the swap have been wonderful! Thanks to Lori for making it so fun for everyone. What a fun gift to receive! The mini quilt is lovely, and I’m drooling over the goodies tucked in. Thanks for sharing it with us!